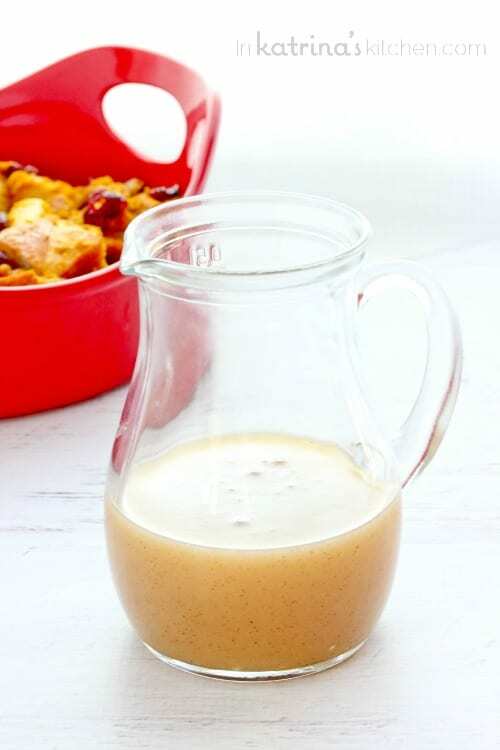 This warm pumpkin spice vanilla butter sauce is the perfect addition to your Thanksgiving dessert table. Or serve it over pancakes for a decadent breakfast! 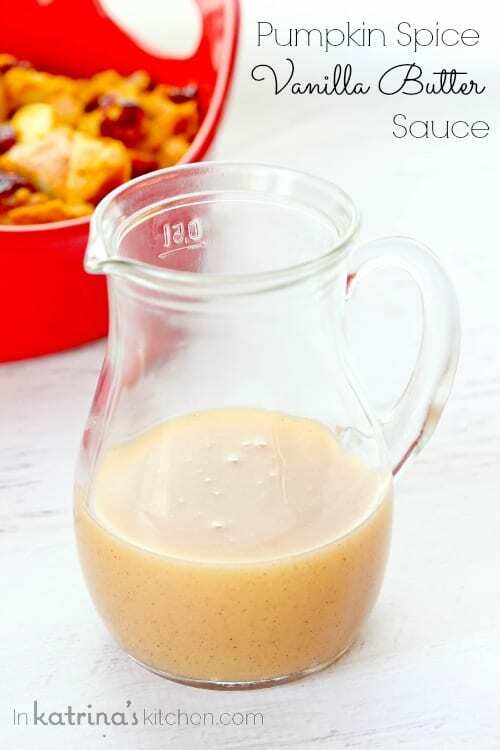 I made this decadent sauce to go along with Pumpkin Cranberry Bread Pudding but I couldn’t stop pouring it over all the things. I can imagine it would be heavenly over pancakes, waffles, and french toast! Treat your family this Thanksgiving to a deliciously spiced pumpkin breakfast. You could even make it the day beforehand! Or try it with Pumpkin Cranberry Bread Pudding. This warm, vanilla butter sauce flavored with pumpkin spice is the perfect addition to your Thanksgiving dessert table. Mix cream, sugar, butter, pumpkin pie spice, and vanilla bean seeds in a saucepan. Bring to boil over medium heat. Reduce heat to low; simmer 5 to 10 minutes or until slightly thickened. Remove from heat. Stir in vanilla extract. 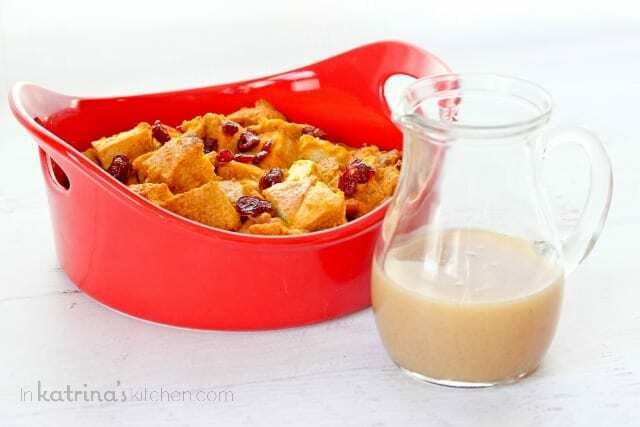 Serve warm with Pumpkin Cranberry Bread Pudding.